When I first met Rob Meister during Rice University's 2006 O-Week , he was a human impossibility. Here stood a living, breathing oxymoron, proof that you really do meet the strangest people in college. No, he wasn’t a Libertarian — he was a Devil Rays fan. Contrary to what you may think, Meister didn’t become a Tampa fan by losing a bet. He’s lived in St. Petersburg, the Rays’ home, since 1992, and has loved the team since the day their rainbow ridiculousness first graced the Majors back in ’98. As any proud homer, it didn’t matter that Jose Canseco and Wade Boggs weren’t exactly Gherig or Ruth — “[Boggs] played for the Yankees AND Red Sox. Could there be a worse individual?” Meister says — or that Tropicana Field had as many annoying distractions as the team had wins. For years, this team was more laughable than Jessica Alba’s career, but they didn’t have searing-hot looks to fall back on — seriously, have you ever seen Greg Vaughn? There were whispers of contraction and moves, but to the glee Rob and the few remaining D-Rays fans, the team remained in South Florida. Ever since I met him, I’ve mocked Rob enough to make Tina Fey proud, reminding him time and again that Ben Grieve and Elijah Dukes do not a great team make. Heck, they barely constituted a Major League squad. After all, this was a squad that popped the bubbly when they broke the 70-win ceiling. With a record of 645-876 in its first ten seasons, Tampa could do little more than cringe and flail when another team came to town, acquiescing when the transplanted Bostonians turned the Trop into Fenway Lite. 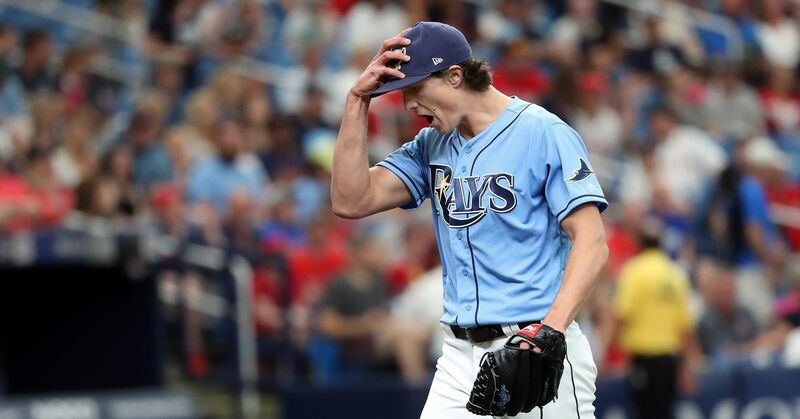 For that first decade, seeing the Rays earn a winning record, let alone taking the pennant, was about as likely as stepping in a pile of rocking-horse manure. And yet Rob held fast, he held true, and he held on, knowing that one day, the doormats would go all “Revenge of the Nerds” on their American League bullies. Because when all else has been lost, faith, that eternal wait-till-next-year syndrome, remains. Longoria’s holiness may be questionable, but it is only fitting that 2008 should be the time for Tampa to break from the chains of ineptitude. In a year that a biracial man became US President, when no one boycotted a Communist-hosted Olympics, and when Ben Affleck is actually funny, the Rays made it to the World Series. That’s right, the Tampa Bay Rays won the American League pennant. Swirl that around for a bit, gargle it, and spit it out. Still tastes funny, doesn’t it? 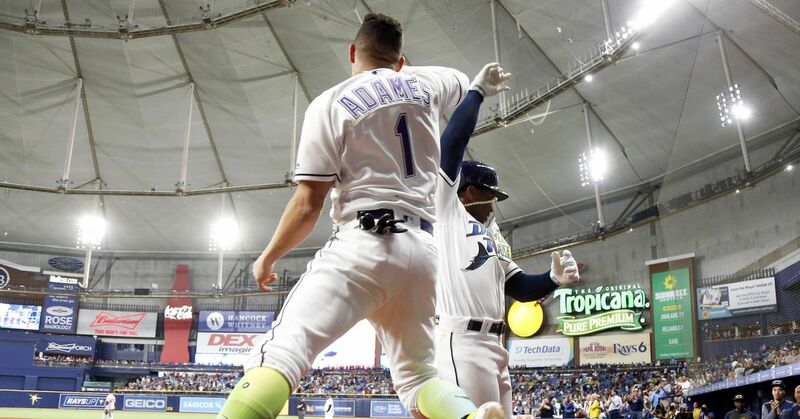 But the Rays weren’t just the victors; they were also the underdogs, making it easy to get behind them. The bandwagon will be at full throttle next year, but Meister doesn't mind. At long last, his faith, long glued to his D-Rays hat and his Joe-Maddon-look-alike glasses, has finally been rewarded. Following this semester, Rob will join his friends and family in “the Burg,” basking in the glow of Tampa’s success. But don’t think for a second that he’s going to invest in any cowbells. “No, I think [the cowbells] are stupid, but I kinda think the blue Mohawks are jazz,” he says.